Temari is one of the main supporting characters of the series, and is a JÅnin-level kunoichi of Sunagakure. 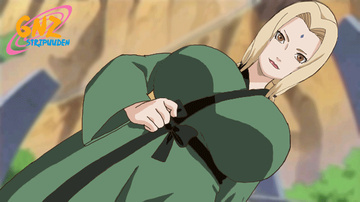 She is the eldest child of the Fourth Kazekage, and is thus the older sister of Gaara and KankurÅ. Like her siblings, Temari is seen less often than the other main characters in the series. Temari is generally overbearing, if not blunt, toward those around her, rarely afraid to speak her mind. Temari does have a caring side, however, and is not above showing concern for others. She seems to value peace, as she questioned the reasoning of starting a war with Konoha. 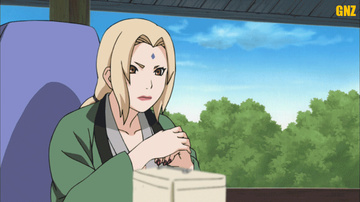 It is shown in Part I during the ChÅ«nin Exams that the one person she is afraid of is Gaara. When Gaara and KankurÅ were fighting she showed a light, happy, mood to make sure Gaara didn't hurt her or KankurÅ. In Part II, Temari acts as a diplomatic liaison between Sunagakure and Konohagakure to prepare for the next ChÅ«nin Exams. Like KankurÅ, her relations with Gaara have greatly improved, although she isn't as close as the two brothers. When Gaara was captured by Akatsuki, Temari hurried back to the village to save her brother, and when KankurÅ was poisoned, she watched over him until he was ready to move himself. Many of Temari's appearances are associated with Shikamaru Nara. Though they were opponents during the ChÅ«nin Exams, they came to each others' aid at different points in Part I. When Naruto returned to Konoha at the start of Part II and saw the two of them walking together, he asked them if they were on a date, which both of them denied. Despite her usual tough demeanor, she has a tendency to show a softer nature around Shikamaru. Some examples include showing sympathy for him after his father scolded him for questioning if he should be a ninja after the Sasuke rescue mission failed. Later, after Shikamaru had escorted her to the Konoha gates near the beginning of Part II, she told him that he should take his duties more seriously, and to quickly become a JÅnin like herself.